Rajasthan's high popularity as a tourist destination is mainly due to the variety of attractions it offers to the tourists. Though the desert is the prime attraction of Rajasthan tours but it also has a number of other attractions. The historical significance of the state and the scenic beauty are also major draws for the tourists. Chittorgarh in Rajasthan is one such place that is embedded with this variety. It is one of the most historically important places in Rajasthan. However, the scenic beauty of the place is also something, you can hardly ignore. The presence of a number of gardens in various parts of Chittorgarh enhances the beauty of the place. Padmini's Gardens are one of the most beautiful gardens in Chittorgarh. The beauty of these gardens is not only a treat to the tourists but it also imparts a great look to the surrounding region. The beauty of Padmini's gardens reminds most of the people about the beauty of the Queen Padmini. Ala ud din Khuilji was smitten by the beauty of queen. As a result, he invaded the region to posses her. To save herself from being dishonored in the hands of the enemy, the queen committed suicide. Since then, the queen is remembered by the beauty of the garden. This garden also has the history of serving the residence of Mewar family. The garden actually serves the purpose of commemorating the queen. Padmini's Gardens has a lot of resemblance with the rest of the gardens of Chittorgarh. However, the westernization of the garden sets it apart from others. It is an extremely well-maintained garden. It offers a perfect place to the tourists to have a great leisure time. The garden within the premises of the fort actually enhances the beauty of the fort. A visit to this garden will be a great attraction for the tourists. 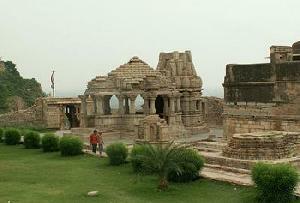 There are a number of tour operators which offer a tour to Chittorgarh. It is always suggested to opt for a tour operator which has certain level of experience and expertise to deliver a comfortable tour. Most of these tours are embedded with a visit to the Padmini's gardens.